Generator Model Length x Width x Height mm (in) H - Housed / U - Unhoused / R - Radiator *kW rating varies by voltage. 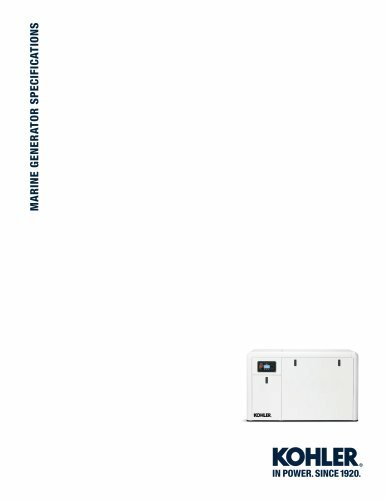 Consult the generator spec sheet for more detail. AMERICAS/CARIBBEAN +1 920-565-3381 +1 800-544-2444 Fax 920-459-1646 New Zealand Australia +61 88 29 02100 kohlerpower.comPrinted in U.S.A. G12-479 7/18 © 2018 by Kohler Co.